Thanks to everyone who came along on Friday night to Jim’s Bar and helped make our Pub Quiz such a big success. We raised over £170 on the night, which means 13 more children can be sure of a daily meal and an education for a whole school year. It’s through the generosity and kindness of our supporters that Mary’s Meals is able to do its amazing work, so thank you! We would like to thank Rachel Ellen from the Foreign and Commonwealth Office who partnered with us and co-hosted the night with our president, Ruth. Congratulations to our winning team – we hope you put those Garage memberships to good use! And to our unlucky losers, hopefully the porridge makes up for the loss – and you never know, maybe you’ll be inspired to join in with next year’s Porridge Week. The quiz is just one of the many events we’ve got coming up over the coming weeks. For all of you who are interested in Mary’s Meals, looking to find out a little more about its work or want to see the unbelievable impact our work has, why not come along this Friday night (25th November) to the screening of the award-winning film, Generation Hope. 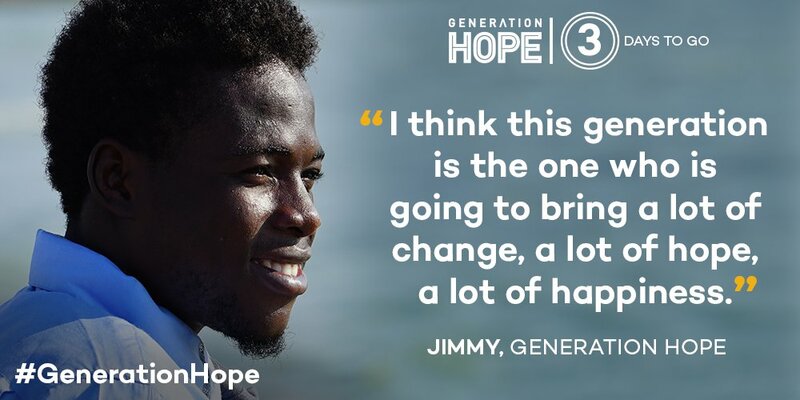 Following the lives of some of the kids around the world who benefit from a daily meal in school, Generation Hope shows how porridge, an education and lots of little acts of love can help give hope, change lives and end poverty for good. GUMM are delighted to be co-hosting this event with Strathclyde’s Mary’s Meals group and we hope that this is just the beginning of a fruitful partnership. If you were needing any more reasons to come along, the founder and CEO of Mary’s Meals, Magnus MacFarlane-Barrow, will be joining us on the night to talk about the incredible journey he has been on since starting Mary’s Meals all those years ago, and where we plan to go in the future. For more info about Generation Hope, all the details are on the event page at https://www.facebook.com/events/651177305044475/ and to keep up to date with everything going on with GUMM, like our page at https://www.facebook.com/gumarysmeals/ and follow us at @GUMarysMeals.